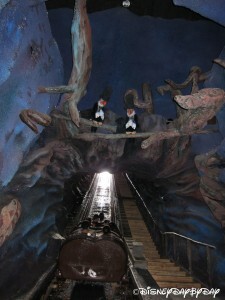 You hear the screams, followed by a loud splash. 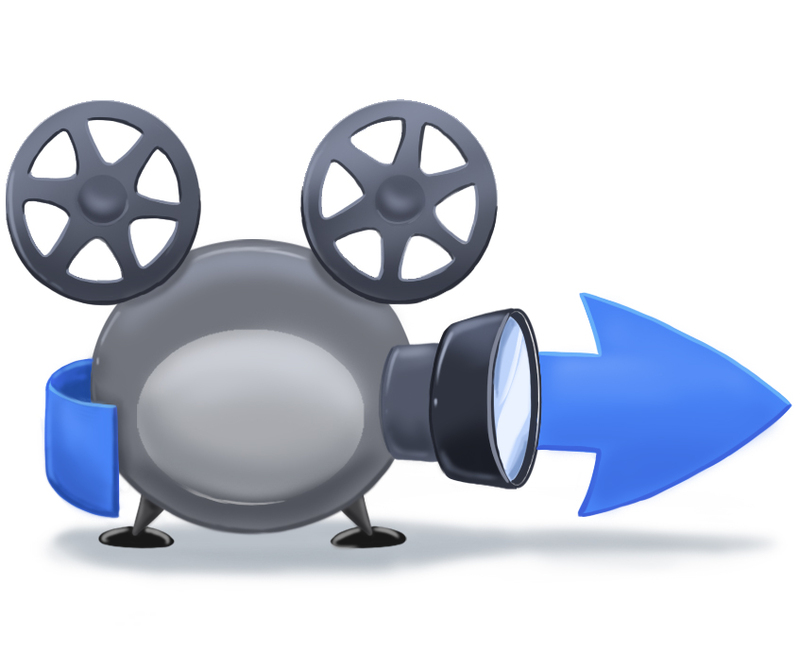 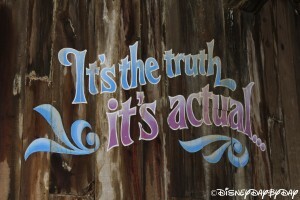 What could it possibly be? 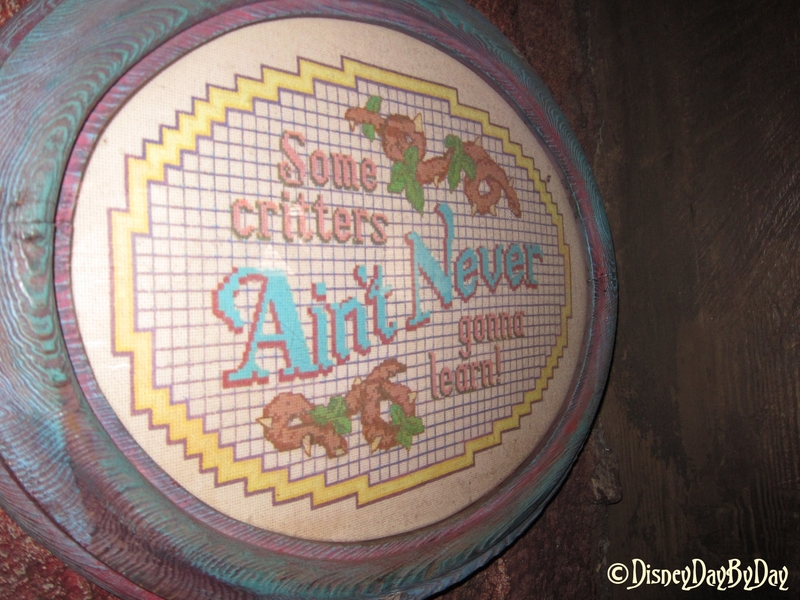 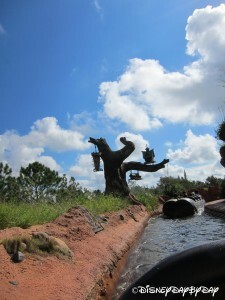 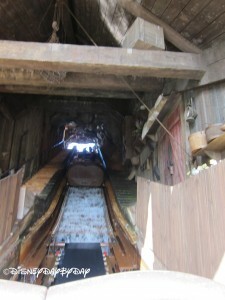 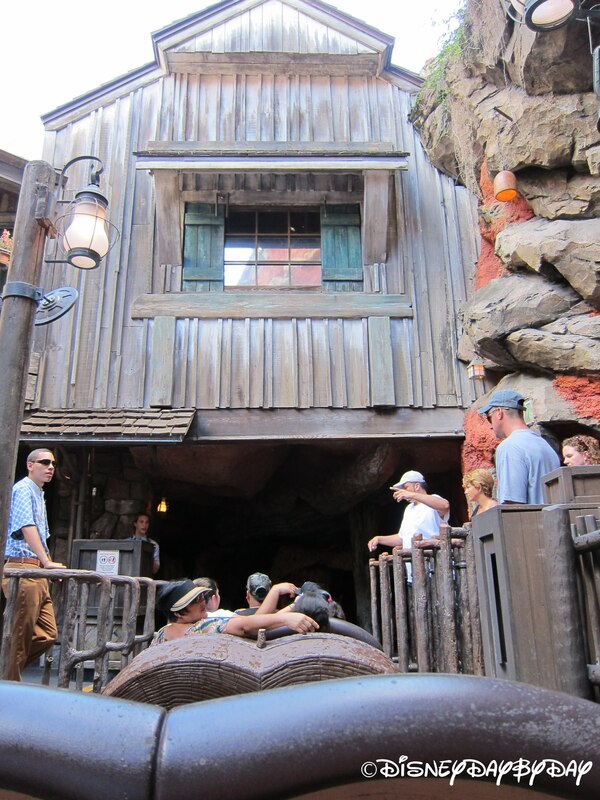 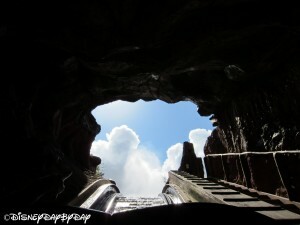 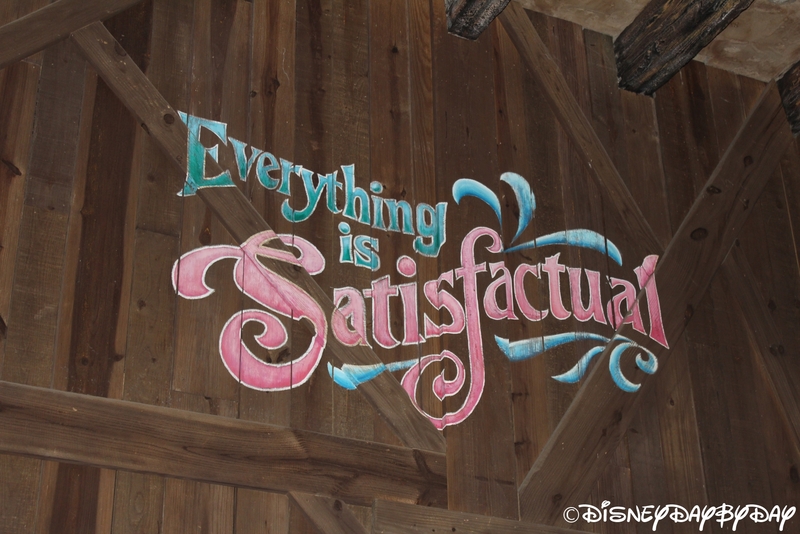 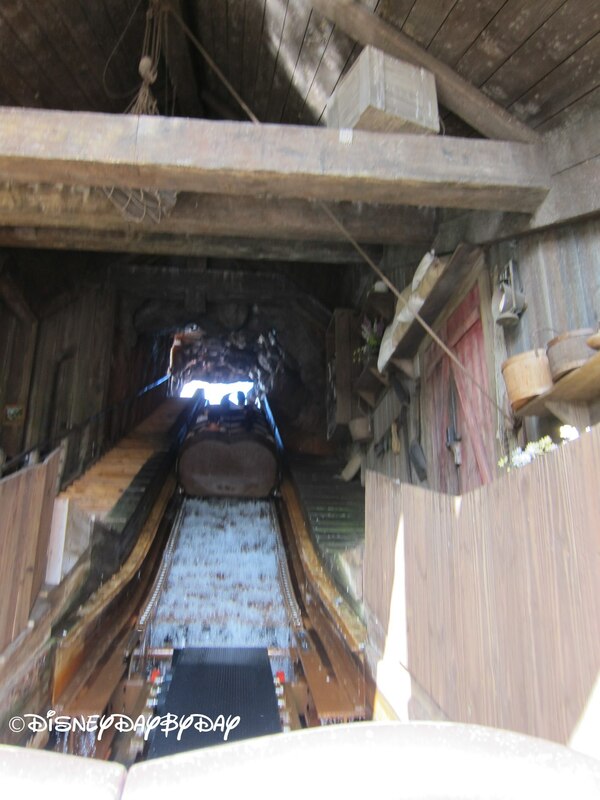 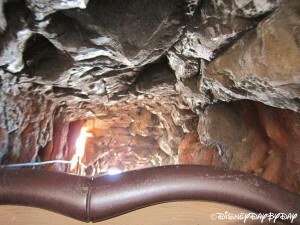 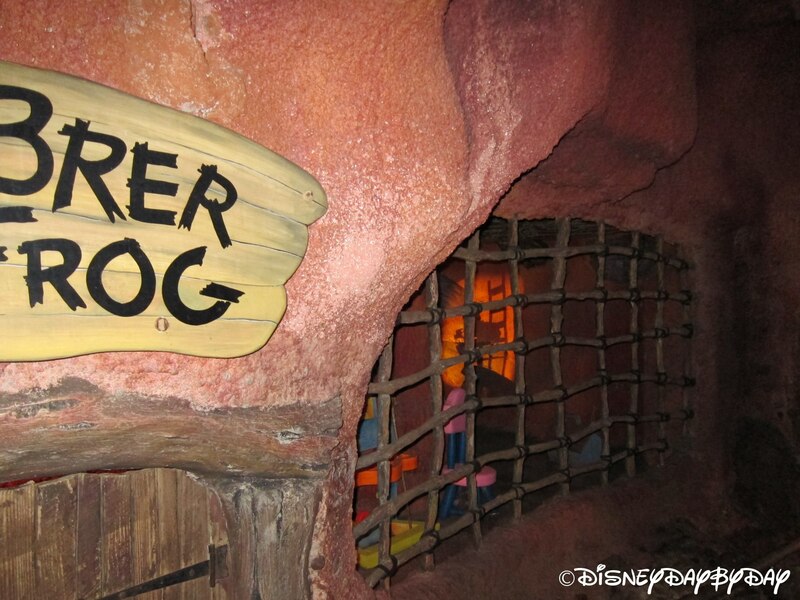 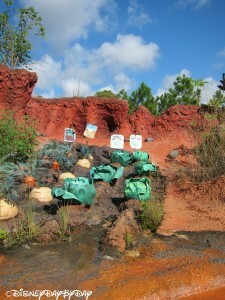 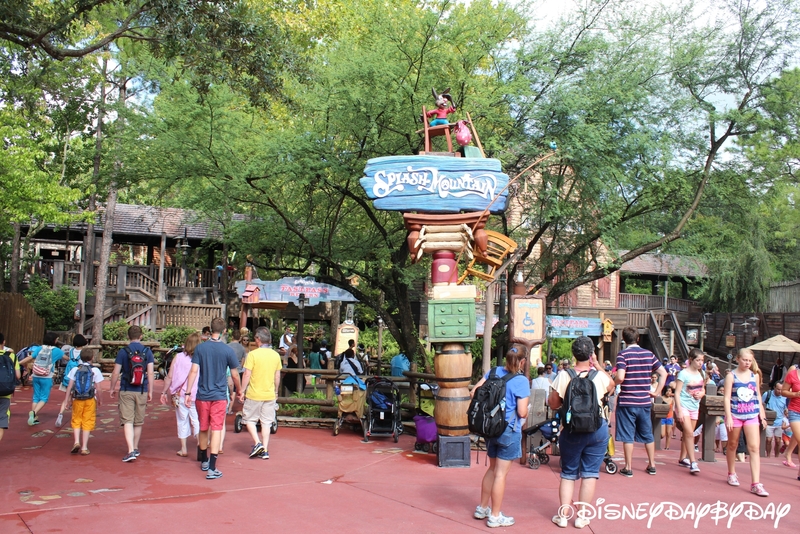 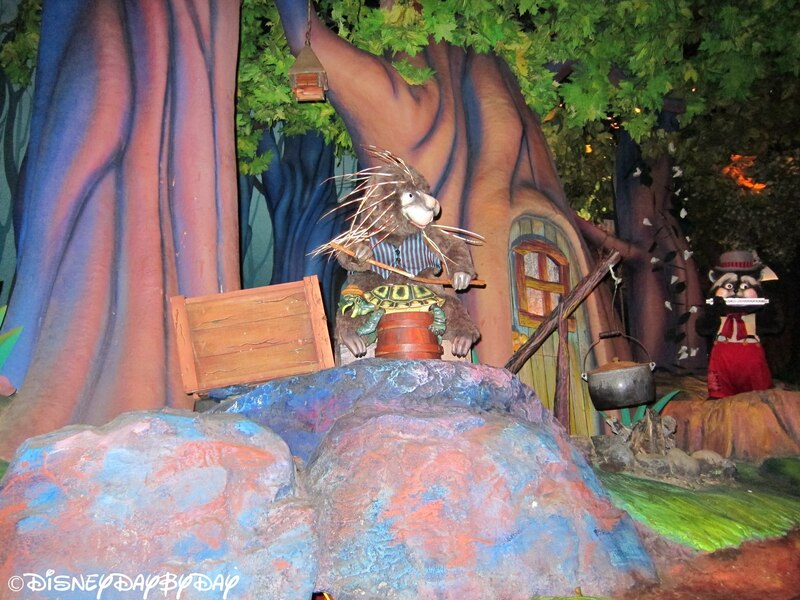 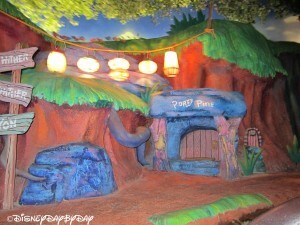 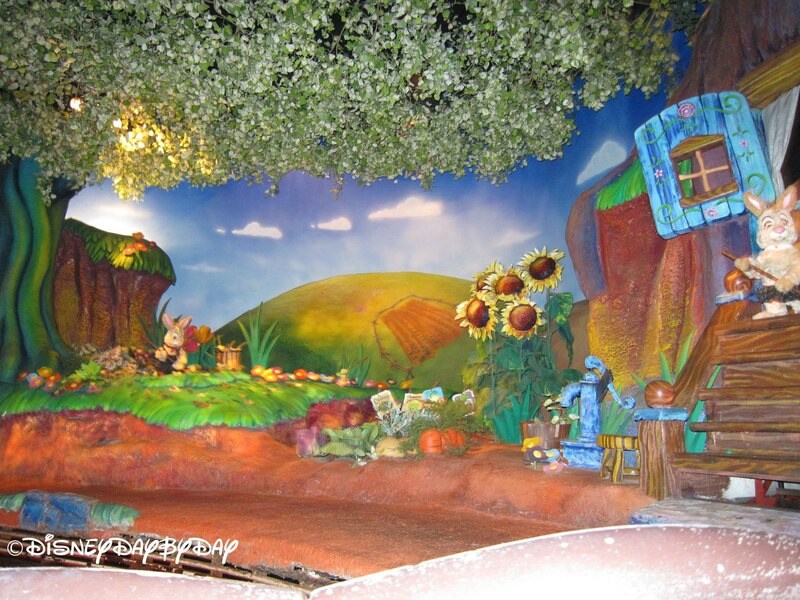 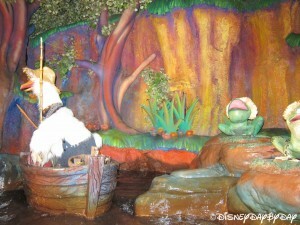 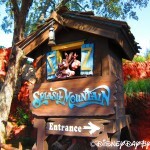 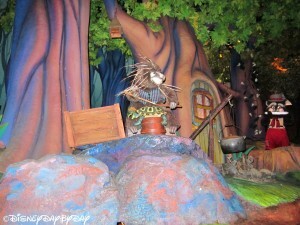 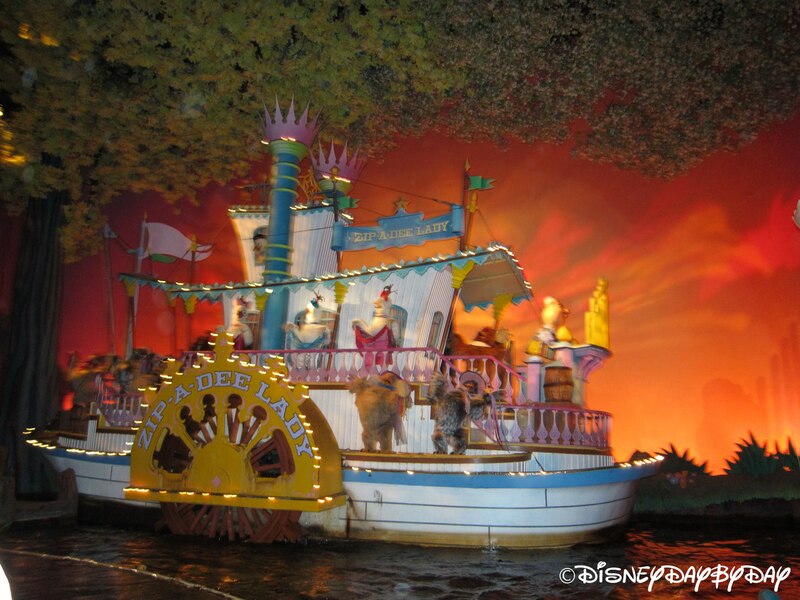 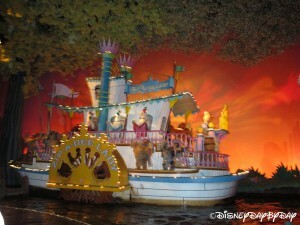 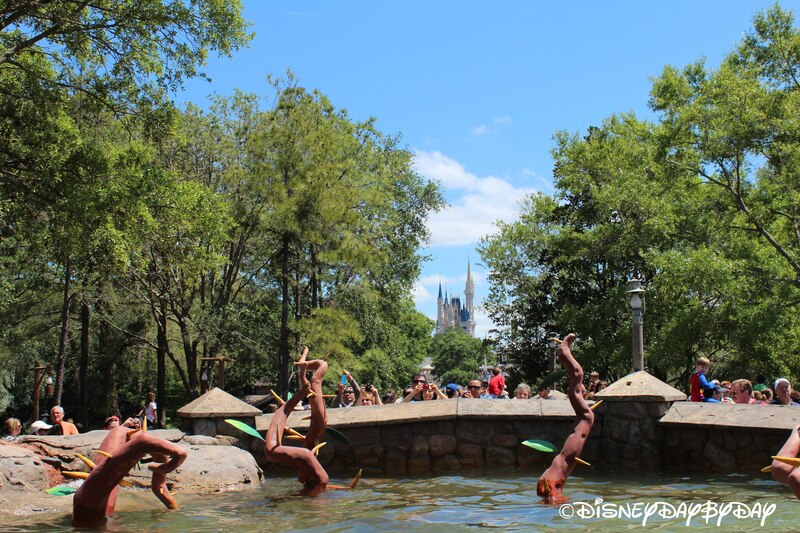 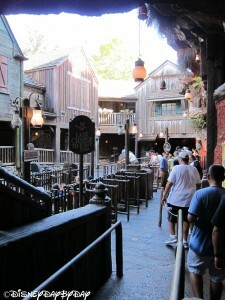 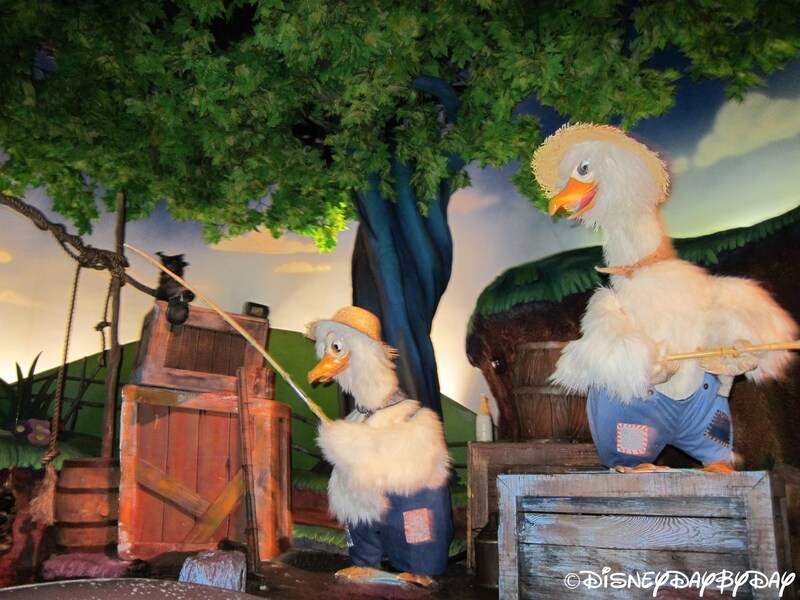 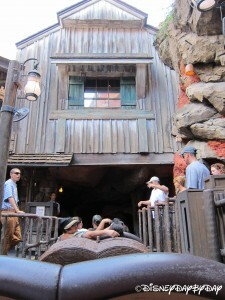 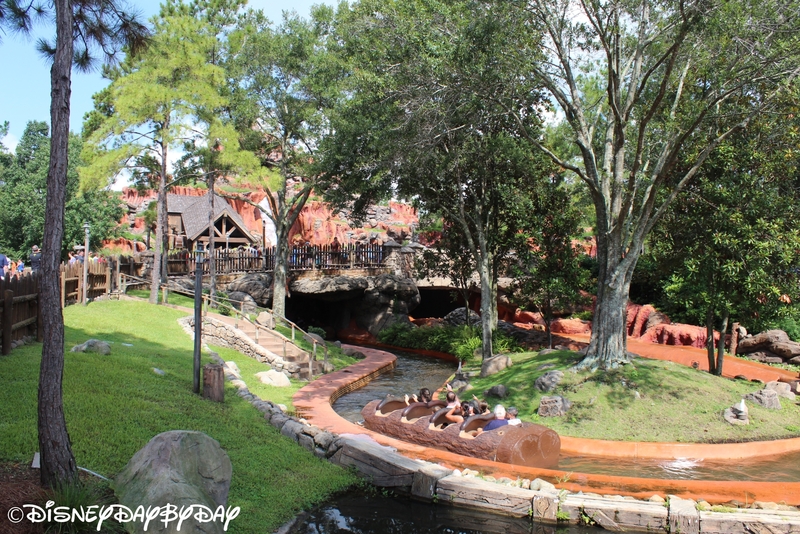 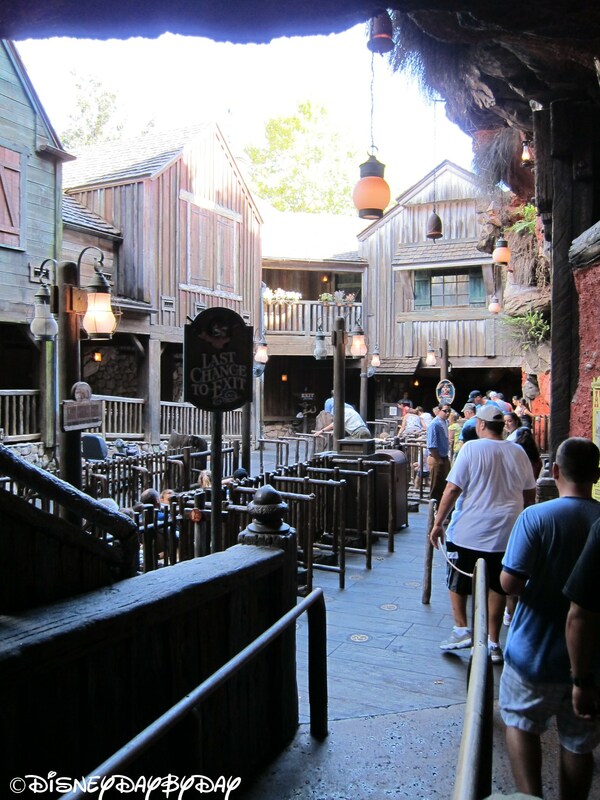 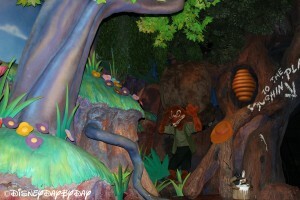 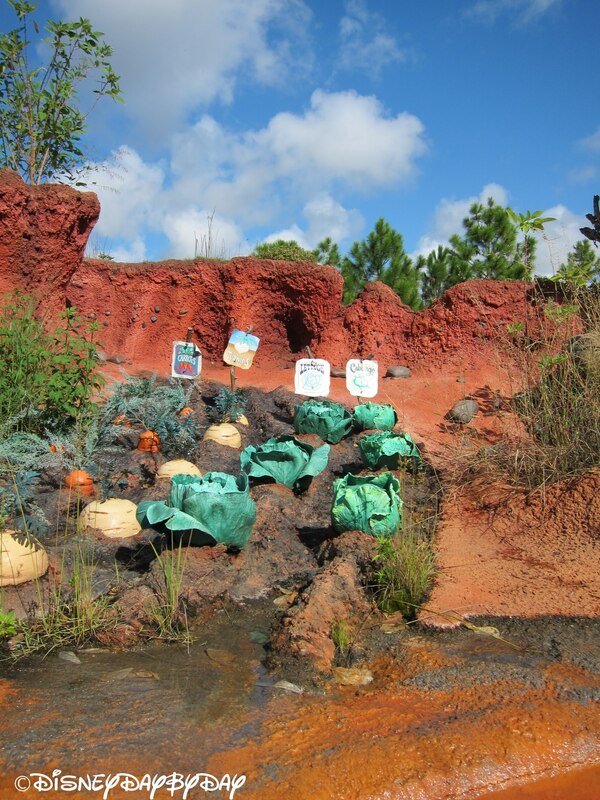 Why, it’s Disney World’s Splash Mountain, and one of our all-time favorite rides! 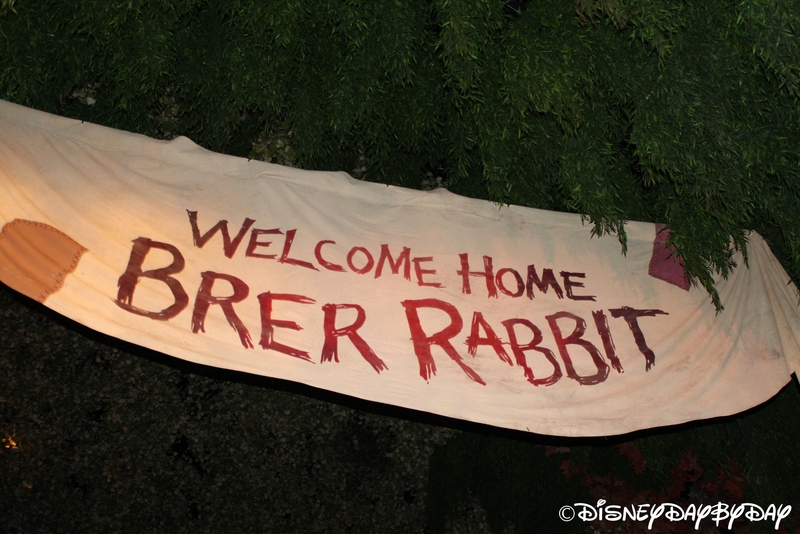 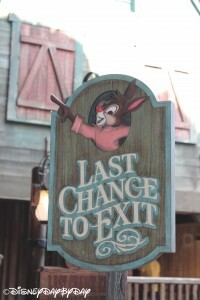 On Splash Mountain you’ll sit in a carved-out log and float down a river following Br’er Rabbit as he leaves home in search of adventure and fun. 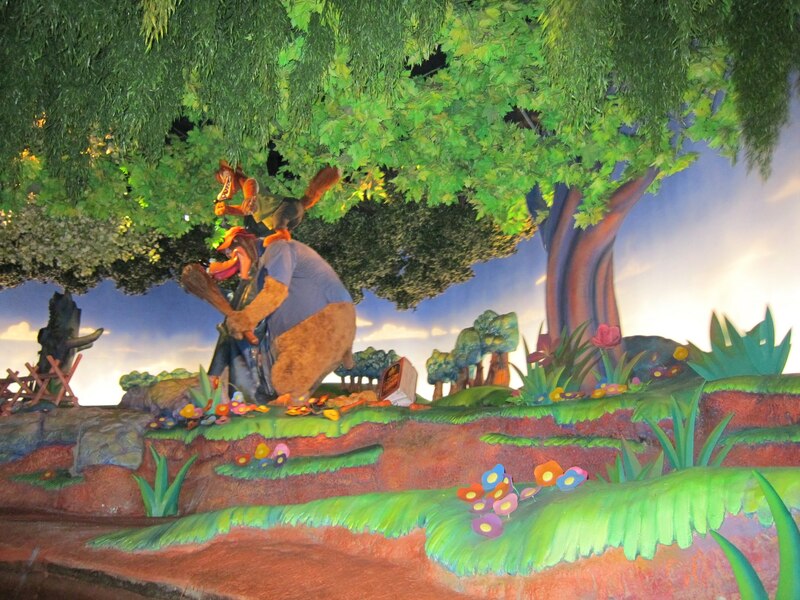 Inside this man-made mountain you’ll see an adorable mixture Br’er animals as they sing catchy tunes that will stay with you for the rest of the day. 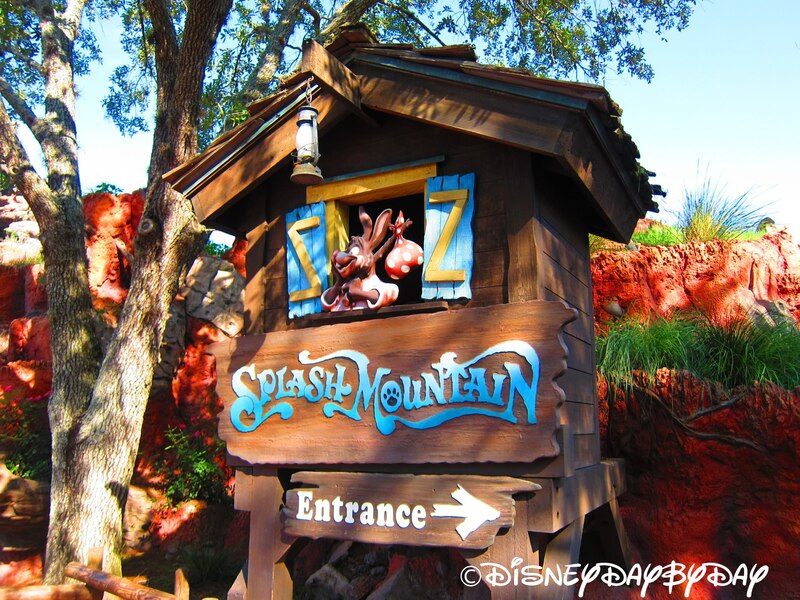 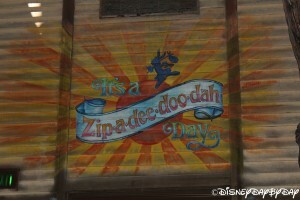 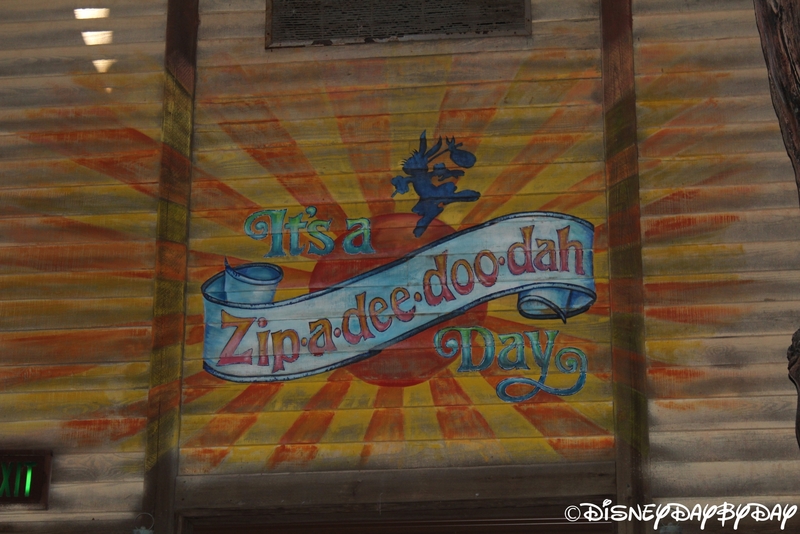 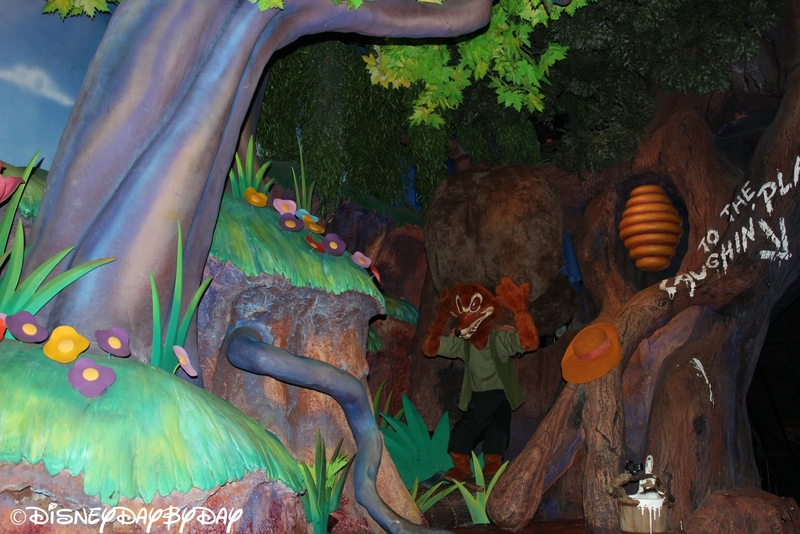 That’s right; it’s a zip-a-dee-doo-dah day when you head over to Splash Mountain! As you float through the cute interior, watching the adorable singing animals, you might wonder what all the fuss is about… until you hit one of the 3 dips that lead to the huge five-story drop down a waterfall. 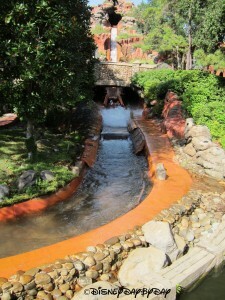 You will get wet. How wet depends on how high the water table is, if they have the shooting water cannons on, and where you sit. You’re less likely to get wet if you don’t sit in front, and if you sit on the left side. 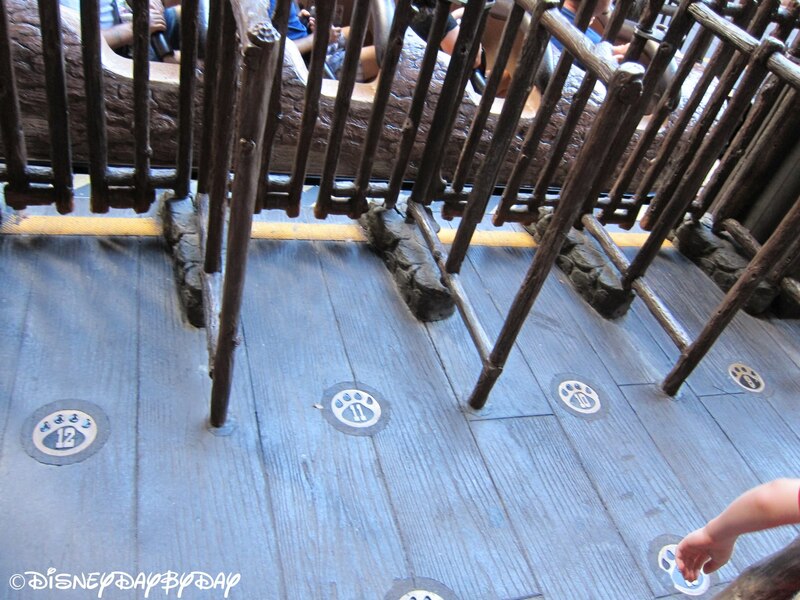 When you reach that five-story drop, don’t close your eyes! 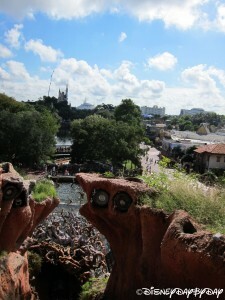 There’s a great view of The Magic Kingdom and the castle. And make sure to smile for the flashing camera! Of course you can buy the picture for a fee after getting off the ride. 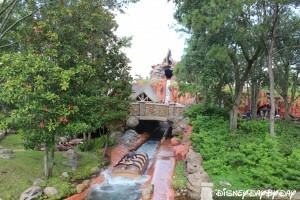 If drops or heights make you ill, you’ll want to skip this ride. 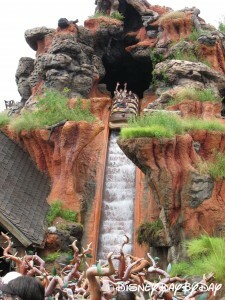 Younger children might not appreciate the high drop. Warning! 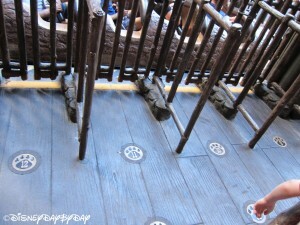 They may try to stick 3 people onto one seat. Unless two of the three of you are small, don’t do it! You’ll be highly uncomfortable throughout the ride. 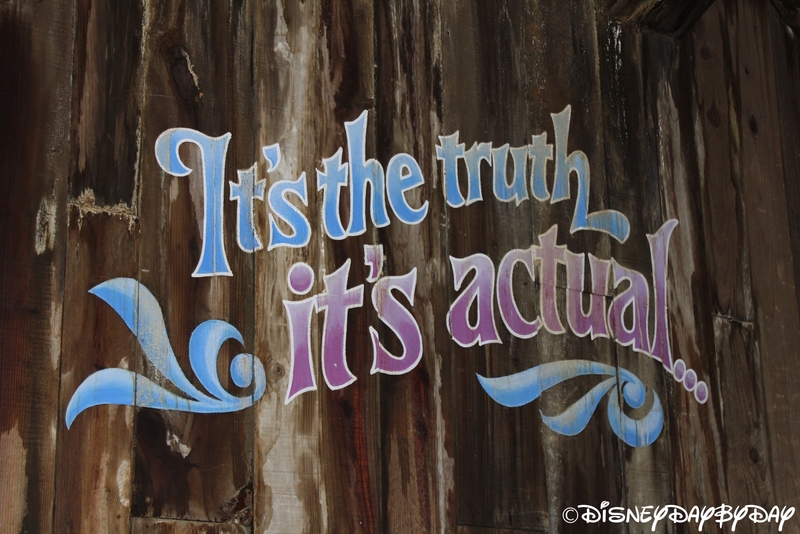 Instead, ask to be divided. 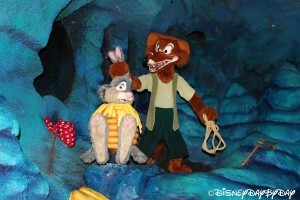 Just say no! They might grit their teeth in annoyance, but they’ll do as you want. 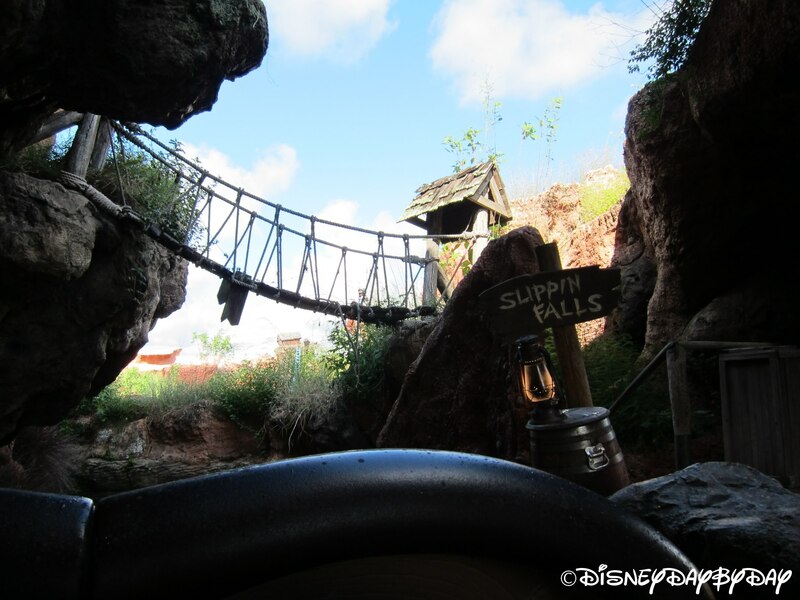 Because of the cute entertainment inside the mountain, the great views at the top of the mountain, and the thrilling action at the end, this is rated as one of our favorite Disney World rides. Splash is at the top of our list each trip, so what if you get a little wet, just look at is a preparation for the afternoon thunderstorm.